I have to admit, I’m a little bit of a Francophile. The French know how to do so many things right – pastries, casual chic, Breton stripes paired with ballet flats… and they are also the namesake of one of my favourite bridal hairstyles, the French twist! There’s nothing more elegant than tying your hair into a loose knot at the nape of your neck, especially when paired with a few sparkly hairpins. I also love seeing when brides keep their chignon minimal, letting their earrings do the talking. The most beautiful thing about French twist wedding hair is that it can suit almost any bride. 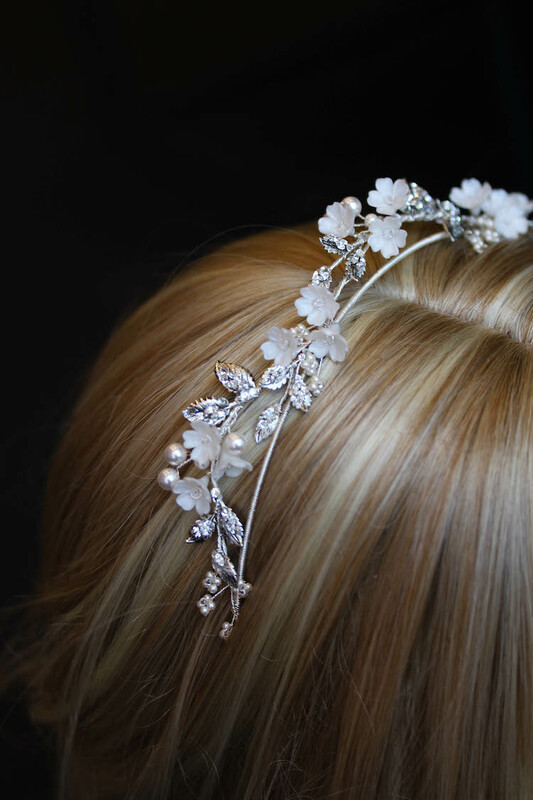 Keeping a few strands loose around your face looks just stunning for a garden wedding, as does having your hairdresser create something more structured and intricate for the more glamorous bride. French twists can even look beautiful on the boho bride, especially when paired with a braid and adored with flowers. Fancy giving gorgeous style a try? Check out this tutorial by the gorgeous girls Molly and Joanna over at Irrelephant blog which I absolutely love.